These are two quick formative assessments using the which one of these does not belong game. Students are given four items and one of them does not fit with the others. These two quick assessments can be used as warm ups, exit slips, or given prior to a lesson to see what students know about energy. 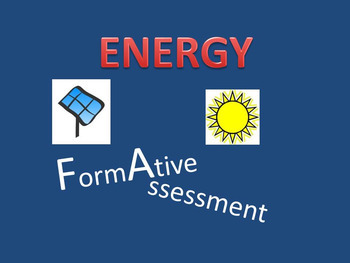 The concepts assessed here are forms and energy and sources of energy.